At SIGGRAPH 2018, X-Rite demonstrates how V-Ray users can visualize their creations using physically correct digital materials. V-Ray artists and designers are always looking for a fast and easy way to render realistic materials. This is a great opportunity for our customers to take advantage of X-Rite’s powerful AxF format on their V-Ray projects. X-Rite Incorporated, a global leader in color science and technology, and Pantone LLC, today announced a new Appearance Exchange Format (AxF™) plugin for V-Ray. Developed by X-Rite, AxF is a vendor-neutral format that enables the communication of all aspects of a physical material’s appearance – color, texture, gloss, refraction, transparency, translucency, special effects (sparkles) and reflection properties – in a single, editable file to improve design virtualization. The new AxF plugin allows V-Ray users to leverage the most accurate physical material representations to achieve a new level of realism in virtualization while streamlining design and approval cycles. X-Rite is showcasing the new plugin for V-Ray at SIGGRAPH 2018, August 12 – August 16 in Vancouver at booth 401. 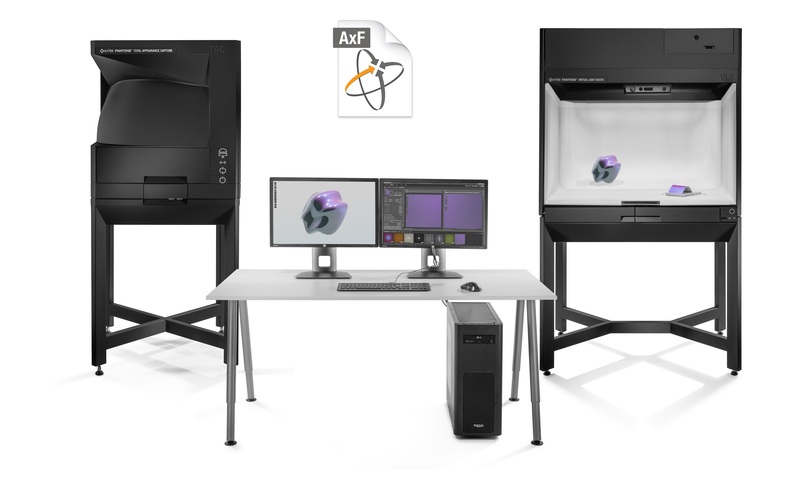 AxF is the foundational component of the X-Rite Total Appearance Capture (TAC™) ecosystem, a solution that brings a new level of accuracy and efficiency to the capture, communication and presentation of physical materials in the virtual world. Traditionally, the capture and rendering of complex materials such as special effects paints, meshes and fabrics have been a time-consuming and manual process. 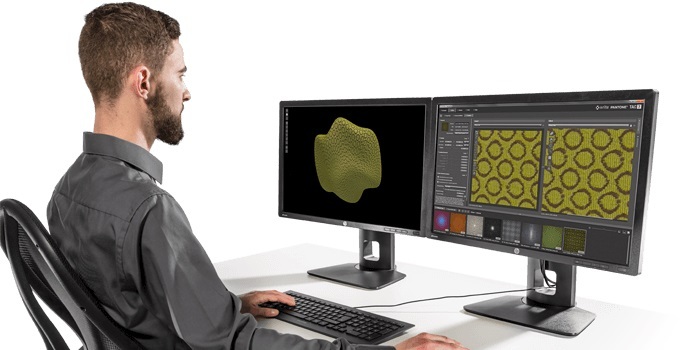 TAC addresses this challenge with a new level of precision in material scanning coupled with an ability to share the resulting data, via AxF, across an expanding set of rendering tools such as V-Ray. SIGGRAPH 2018 attendees can see a demonstration of X-Rite’s award-winning Total Appearance Capture (TAC) ecosystem and the use of the AxF plugin for V-Ray at the X-Rite booth 401. Attendees will see how AxF files can be used within V-Ray and applied to renderings and animations. Chaos Group is a worldwide leader in computer graphics technology, helping artists and designers create photorealistic imagery and animation for architecture, design, and visual effects. Chaos Group’s award-winning physically-based rendering and simulation software is used daily by top design studios, architectural firms, advertising agencies, and visual effects companies around the globe. Today, the company's research and development in ray-traced rendering, cloud computing and real-time ray tracing is shaping the future of creative storytelling and digital design. Founded in 1997, Chaos Group is privately owned with offices in Sofia, Los Angeles, Seoul, and Tokyo. For more information, visit: chaosgroup.com. Founded in 1958, X-Rite Incorporated is a global leader in the science and technology of color and appearance. With Pantone, X-Rite employs more than 800 people in 11 countries. The company’s corporate headquarters are located in Grand Rapids, Mich., with regional headquarters in Europe and Asia and service centers across Europe, the Middle East, Asia, and the Americas. X-Rite offers a full range of solutions used by manufacturers, retailers, printers, photographers and graphic design houses to achieve precise management and communication of color and appearance throughout their processes. X-Rite products and services are recognized standards in the printing, packaging, photography, graphic design, video, automotive, paints, plastics, textiles and medical industries. For further information, please visit http://www.xrite.com. For the latest news, information, connect with X-Rite on LinkedIn, Twitter, and Facebook. Pantone provides the universal language of color that enables color-critical decisions through every stage of the workflow for brands and manufacturers. More than 10 million designers and producers around the world rely on Pantone products and services to help define, communicate and control color from inspiration to realization – leveraging advanced X-Rite technology to achieve color consistency across various materials and finishes for graphics, fashion and product design. Pantone Standards feature digital and physical color specification and workflow tools. The Pantone Color Institute™ provides customized color standards, brand identity and product color consulting as well as trend forecasting inclusive of Pantone Color of the Year, Fashion Runway Color Trend Reports, color psychology and more. Pantone B2B Licensing incorporates the Pantone Color System into different products and services, enabling licensees to communicate and reproduce certified Pantone values and improve efficiencies for their users. Pantone Lifestyle brings color and design together across apparel, home, and accessories. Learn more at http://www.pantone.com and connect with Pantone on Instagram, Facebook, Pinterest, and LinkedIn.